Premium Round Rug PadPremium Round Rug Pad, alt="Premium Round Rug Pad, "
Print Round rugs, meet the right rug pad. As the thickest one we offer, this plush layer provides luxe padding and insulation underfoot while extending the life of your rug and protecting flooring. It’s eco-friendly, too, with recycled synthetic fibers on one side and renewable natural rubber on the reverse. 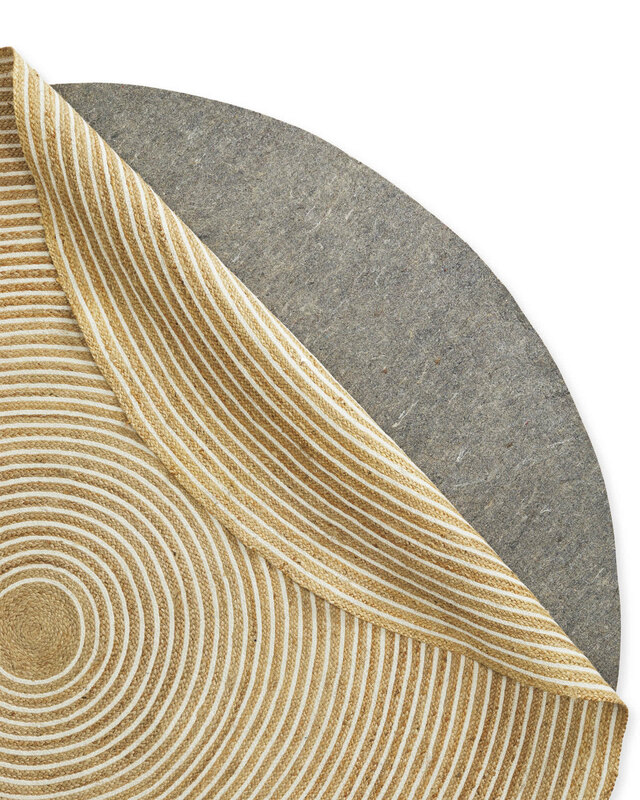 Plus, the dense, firm base keeps your rug in place while reducing wear marks and making vacuuming easier. Place it with the fiber side up for hard floor surfaces and fiber side down on carpet.